The Cleveland Kydex Co. is a local, family owned and operated shop committed to the manufacture of quality Kydex products. Our products are used by LE, Military, and responsible civilians across the world. We take pride in our work, and offer you a 100% guarantee that you will take pride in it as well. 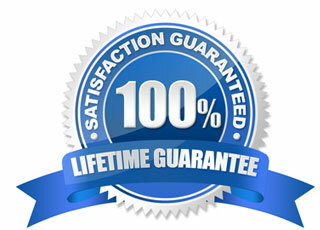 Along with that pride, every Cleveland Kydex Co. product comes with a lifetime guarantee. The Cleveland Kydex Team! Satisfaction Guaranteed! LOW SHIPPING!! As Always, your satisfaction is 100% guaranteed. Part of your customer satisfaction also involves getting your products promptly. Thats why we update you as we progress through the process. Fast shipping times, and accurate tracking for our customers are provided upon shipment. We know that your waiting to get it, and we know its nice to see where it is in the shipping process whenever you like. We understand, and want to make your experience enjoyable, reliable, and repeatable. We have partnered with VERISIGN, Authorize.net, Trustwave and PayPAL to ensure that your shopping and checkout process is safe and secure. Thats how we would want it too. 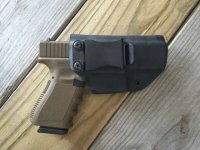 FAQ - Level 2 - Duty Holster? FAQ - Do you ship internationally? FAQ - How can I check the status of my order? FAQ - How do I change my shipping address (Or ship a gift)? THANK YOU FOR YOUR SERVICE TO OUR GREAT NATION! Lead times are posted as business days (excluding holidays) for every product in the store. This is the time to manufacture your new product, and can and does change regularly. We are normally ahead of our stated lead times (trying to deliver your item early), but special circumstances, or certain shopping seasons can and do affect how efficiently we can move orders through our system. If there is a change to the normally posted lead times, this change will always be posted on the front page so that our customers can have appropriate expectations as to the approximated delivery date of their product in relation to current shop load. **For orders with multiple items. - All orders will wait for each individual items completion for that order.